Today, push notifications are one of the most popular digital channels via you get information from websites. But maybe you have opted-in for too many notifications, for notifications that are not useful anymore or you don’t want to be asked for permission to opt-in. 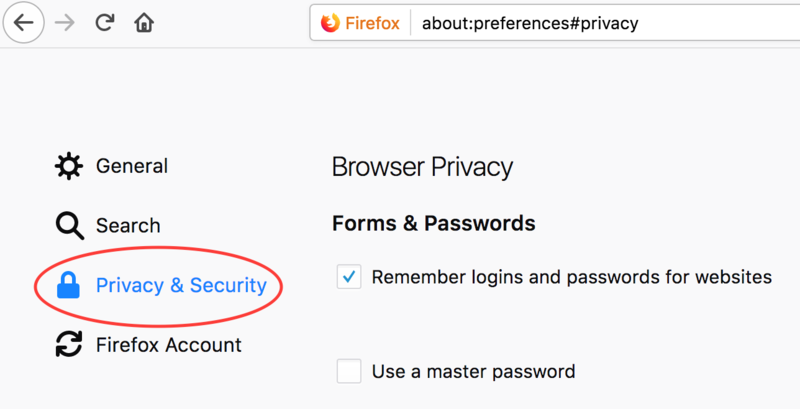 If so, here is a simple guide on how to disable Firefox push notifications. You can also read how to disable push notifications on Google Chrome and how to disable push notifications on Safari. 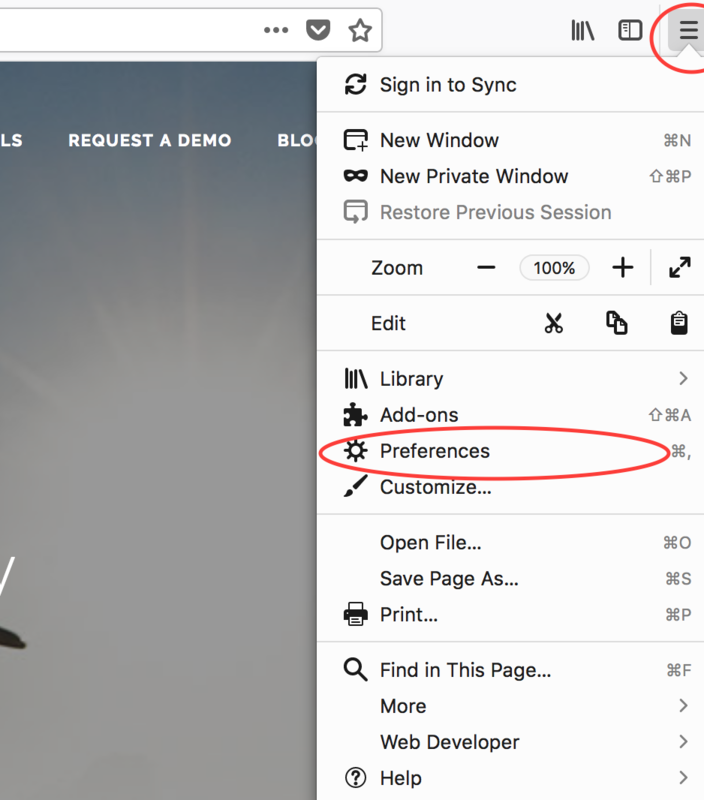 Click on the menu icon on the right side of the toolbar and choose Preferences. Click Privacy & Security on the left side of the page. When you scroll down you will see the Permissions. Click Settings next to Notifications. On the following page, you can see which websites have already requested to send you notifications. 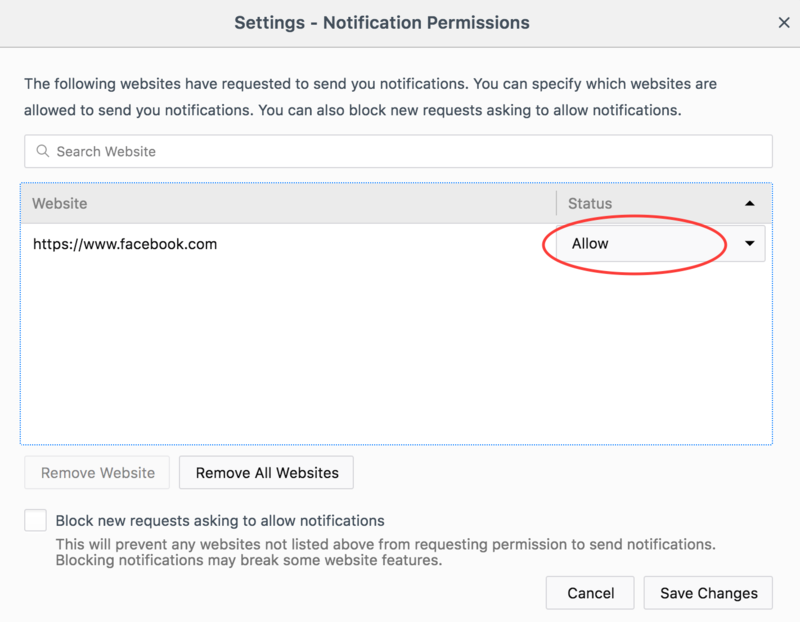 You can change your permission for each website to allow or block them to send you push notifications. Overall, there are 3 options that you can define for a website. If you Allow, website can send you push notifications. If you Block, website neither will send you notifications nor will be able to ask your permission to opt-in any more. If you click on the name of the website and click on Remove Website button, that website can’t send notifications but can ask for permission in the future. You can also block new requests asking to allow notifications from the same window as Step 4. If you tick this option, new websites won’t be able to ask your permission but the previously allowed ones will continue as is. If you untick this option, new websites will be able to ask your permission, as the default option. If you click on the URL and Remove Website, it will be the same as clicking Remove on the dropdown menu on the right hand side of URL. 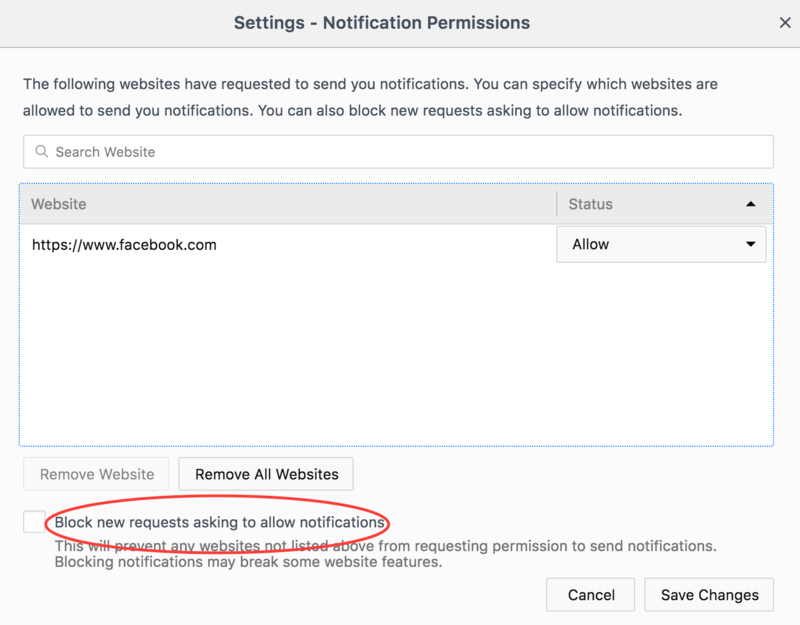 If you click Remove All Websites, you will delete each website from allow or block section and all websites will have the possibility to ask your permission, unless the block new requests asking to allow notifications tick box is marked. You can click on the icon next to the address bar and click on the X button on the right hand side of the box shown, to easily access this option by one click only. Now this website can’t send you notifications any more, but is able to ask you for permission to send notifications. The EU General Data Protection Regulation (GDPR) will set a new standard for how companies use and protect EU citizens’ data. It will take effect from May 25th, 2018. At Frizbit, we’ve been working hard to prepare for GDPR, to ensure that we fulfill its obligations and maintain our transparency about communications with your users and how we use data. Under EU law, Frizbit is the Data Processor and our customers (you) are the Data Controllers. Frizbit will provide its customers with functionalities and guidance to help you become compliant as a Data Controller. The EU General Data Protection Regulation (“GDPR”) is a new comprehensive data protection law. GDPR was adopted in April 2016 by the EU Parliament and will be effective on May 25, 2018. It will replace existing EU Data Protection law to strengthen the protection of “personal data” and the rights of the individual. It will be a single set of rules which govern the processing and monitoring of the data of EU citizens. The scope of GDPR is any processing of Personal Data from EU data subjects. This means increased Territorial Scope (extra-territorial applicability). Indeed, GDPR applies to all organizations processing the personal data of data subjects residing in the European Union, regardless of the company’s location. In other words, a company based outside of the EU but processing personal data of EU residents will be required to abide by GDPR. Failure to comply with the GDPR could result in heavy fines: up to €20 million or 4% of worldwide revenue. How is Frizbit prepared for GDPR? The GDPR grants broad rights to individuals with regard to their personal information and who has access to it. The GDPR, therefore, provides individuals (known as “data subjects”) with the “right to be forgotten.” In practice, this means organizations must now comply with a data subject’s request for access to his/her personal information in order to correct, delete, or retrieve such information. As a data processor for our customers, we have defined processes that will allow us to assist our customers in complying with these data subject requests. 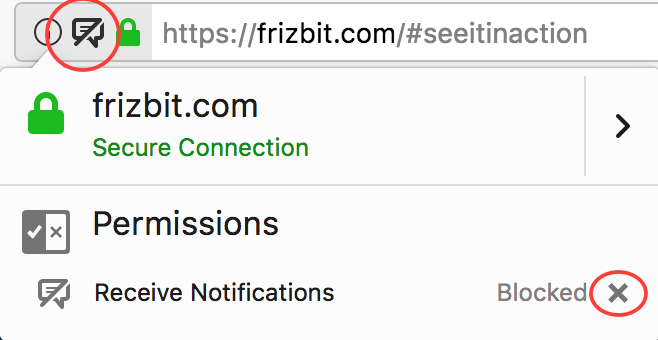 First, as the main channel of Frizbit is web push notifications, technical opting-out process is managed on the browser end. 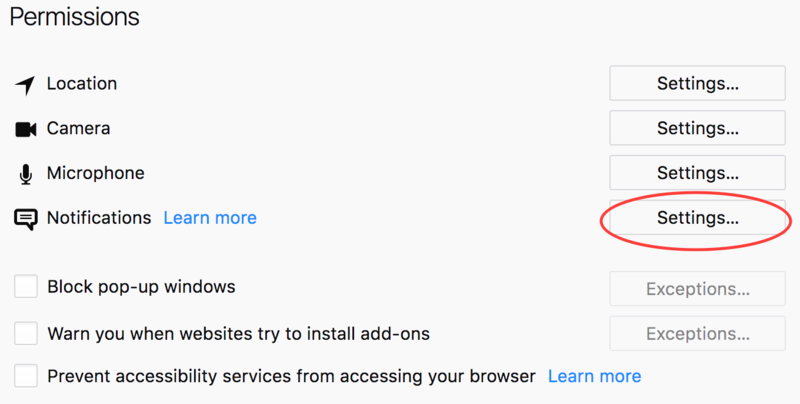 All data subjects who are subscribed for web push notifications can opt-out easily on the settings of their own browsers on their own devices. Third, among other obligations, GDPR limits the time period in which an organization may retain data to “no longer than is necessary for the purposes for which the personal data are processed.” We’ve updated our customer data retention period to a default period of two years for event data. Article 28 of the GDPR requires data controllers to have a written document detailing the obligations with respect to the processing of personal data. We have a dedicated Data Protection Officer to help you with any requests or questions you have about your data. You can reach out to us by emailing compliance@frizbit.com. We’ve reviewed all our vendors, finding out about their GDPR plans and verifying the GDPR readiness and making sure they are compliant. Security is a priority for us. We have regular external audits, pentests and bug bounties. We’ve reviewed our internal access design to ensure the right people have access to the right level of customer data. Feel free to reach out to us at compliance@frizbit.com, if you have any questions about GDPR. What is the big news on rich notifications? As Google Chrome rolled out its version 56, from now on websites can send rich notifications with images to their web notification subscribers. This is quite big news, since web notifications got richer and more attracting. Rich notifications with images can be almost 3 times larger than standard. This increases the interactions and CTR’s of each notification significantly. Along with the action buttons, images are one of the most important elements in web push notifications. 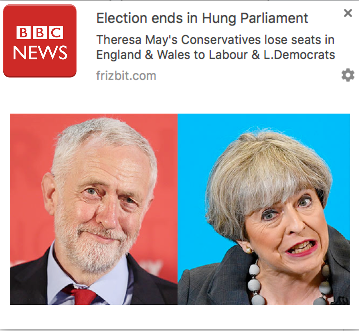 Can I add image to web push notifications on other browsers? Unfortunately, not. This is limited to only Google Chrome and its versions 56 and above. But this shouldn’t be a big problem as it has the largest audience. Are images shown on both Windows and MacOS? Currently yes. However, as Google Chrome announced to move to native notifications on MacOS starting from Google Chrome version 59, push notifications on MacOS won’t have images. How can I send rich notifications with images? On Frizbit interface, on the first step of ‘Compose’ you will find the section to add an image to the content of push notification. You can easily drag and drop the image to this area and your notification will be sent with the image. What should be the size of images on Chrome rich notifications? The most critical part in order to make use of the potential image area is the width : height ratio, which should be 1.5 : 1. Please note that if you use another ratio, the images will still be shown but they won’t be shown as large as it would. The minimum size for the images to be shown is 360px wide x 240px tall. Any other image larger than this size is also OK.